Not so much a quip, more of a quote with comic aspirations, and very much a real observation attributable to many people, I suspect. 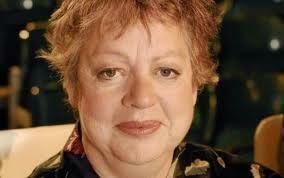 Jo Brand is a BAFTA winning British comedienne, writer, and actress, majoring on observational comedy. Like several others, her style is dead pan and down beat, but this still has large appeal to the public. Much of her humour is self-deprecating, which may be a reason for her success. She won the 2011 Best TV Comedy Actress BAFTA award for her BBC Four sitcom Getting On.